In an effort to keep both advisors and clients up to speed on the latest travel patterns and popular tourism products, TravelPulse highlights some of the hottest travel trends worth paying attention to. Ryan Doncsecz, an advisor with VIP Vacations, Inc. in Bethlehem, Pennsylvania, also points to Australia and New Zealand as being hot destinations, while also noting that Bali, Africaand Dubai are also gaining traction amongst travel savvy Millennials. UNICO 20 N 87 W – Riviera Maya continues to earn a reputation as an all-inclusive resort packed with value. 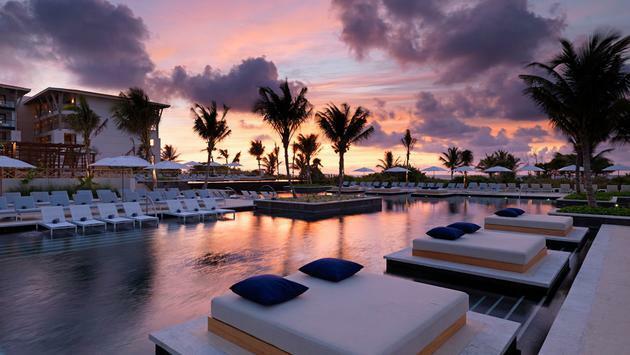 It’s a good time to be an all-inclusive resort, according to most of the agents we spoke to. From resorts offering unique inclusions, such as spa and golf, to fresh resorts catering to young parents, all-inclusive resorts in Mexico and the Caribbean continue to trend upward. “With the idea of the ever-present internet, clients are finding newer hotels that they want to travel to,” said Doncsecz. “[UNICO 20°N 87°W – Riviera Maya] has been a hit, and I already have requests lined up for the new Dreams [Resorts & Spa] that will be coming to Puerto Rico.